If you are currently using an SEO company or are considering hiring one, there are six important tasks they should be doing regardless the company you choose. You should ensure that at a minimum these tasks are included in your contract. A reputable SEO company will have already conducted a basic audit of these tasks, and how much work is required, and should provide you with an overview of what they have found prior to contract negotiations. Establish Goals – Before embarking a program to improve and expand your online presence the first and foremost task is the establishment of clear goals for your online marketing. Along with establishing goals, your SEO company should assist you in determining the key performance indicators that will be tracked to determine the effectiveness of your efforts. Keyword Research – It is imperative that initial keyword research be conducted to determine those keywords that provide the greatest opportunity to draw customers to your site. The wrong keywords can either turn out to be so competitive that ranking high is almost impossible, can result in drawing the wrong visitors that will not convert and miss out on opportunities that the competition has missed. Website Audit and Maintenance – This is the first task any SEO company should be performing before moving onto anything else. Titles, meta descriptions, broken links and any other errors and warning should be corrected and an ongoing maintenance of the site performed monthly to correct any errors that may appear. You may allow your SEO company access to make corrections or report them to you for correction but either way you need to be auditing the website regularly. The initial audit should also provide recommendations to improve the overall UX of the website. A website with quality content found buried in a poor user experience can result in failure to convert visitors. Backlink Analysis – A review of your current backlink should be conducted immediately to determine if there are any possible issues that could result in a penalty from search engines. Backlink tactics used in the past can come back to haunt you so ensure that a review is conducted with recommendations. Additionally, a periodic review is also necessary to detect any new backlinks that have been created without your knowledge that could be harmful. 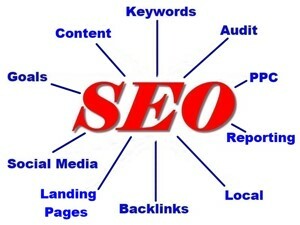 Content Development – A good SEO company should assist in the development of quality content for your website. Thin and poor quality content will result in visitors leaving your site for another. Although your SEO company may not be an expert in your field they should assist you in pointing out area of the website that require additional content. Once you create content, they can assist you by optimizing the content for publication as well as assisting with distribution of content outside your website. Reporting – Ensure that your SEO provides regular reporting (at least monthly) which should cover all the KPI’s identified, work done in the reporting period and recommendations for future work. There are a wide variety of other tasks that an SEO company can take on for you and these may include such things as the development of a mobile friendly website, paid advertising, guest blogging, online listing evaluation and assistance with social media marketing. When considering an SEO company you should ensure that the 6 basic tasks are included in the basic work they are contracting for and not as added on tasks at additional costs. If they are asking for additional fees for any of the above tasks, look for another company. These tasks represent the baseline for work that should be conducted so make sure they are addressed. I highly appreciate your ideas. It’s full of authentic information. Looking forward for more valuable blogs.